We will be at Apple Fest this year!! We will have a table set up where guests can pick a pumpkin from the orchard and paint it right on the spot! 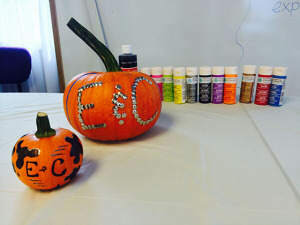 We will have tons of fun materials for you to use to create a special pumpkin. There will be several sizes of pumpkins to choose from to accommodate all ages!